Want to find out how to update Aadhaar Card online? This is your step-by-step guide to doing just that. The Aadhaar program was introduced in 2009. Since then, a lot may have changed – you may have gotten married (changed surnames), moved to a different city or locality or even lost/changed your mobile number. 1. 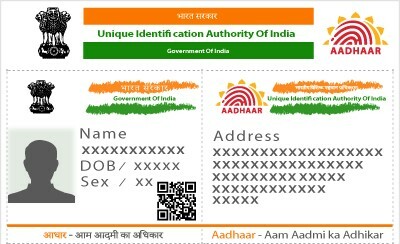 Head over to the UID Portal and login with your Aadhaar number. 2. You will receive an OTP (One Time Password). You will be redirected to the data page upon entering the OTP. 3. Select the data you want to update. Name Correction/Update: Requires supported Proof of Identity(PoI) Documents Containing Name and Photo. Date of Birth Correction: Requires supported proof of Date of Birth. Enter your details in DDMMYYYY format. Keep in mind you can update your Date of Birth only once. Once the date is verified, it cannot be changed. Address Corrections/Change: Requires supported address proof that contains name and address. 5. Upload the original, scanned copies of your documents. 6. Submit the request and note down the URN (Update Request Number) for future reference. Login to the UID Portal and select mobile number to update your phone. To update it via post, download This Form. In the Mobile section, fill in your new number. Attach some proof of identity with the form and sign it. You can also put your thumb impression on it. UIDAI Post Box No. 99, Banjara Hills, Hyderabad – 500034, India. You can also head over to your nearest Aadhaar Center and update your mobile number in person. Locate your nearest Aadhaar center here. No documents are required to change email ID or gender. Just login to the UID portal, make preferred changes and hit submit. Use the URN to Track Your Update. It will take a minimum of 7 to 10 days to reflect the changes. Updating your Aadhaar card is important because the card could replace your regular debit or credit cards very soon. The Aadhaar Enabled Payments System (AEPS) is currently in its initial stages. You can use your Aadhaar card to authorize payments that will require your biometrics – fingerprint and Iris scan.